Platinum Games’ (Bayonetta, Mad World) latest game, Vanquish, is a third-person shooter featuring a cover system similar to Gears of War and the ability to slow down time. Looks pretty interesting, I like the jet pack allowing the player to move quickly to get under cover. Also, an important warning. Elect a female president and next thing you know San Francisco is gone and Russia has a robot army. After playing the demo…I want to get this game. The demo really sold it for me, the videos never really got me wanting the game, but the demo was fun. Anyway, the video shows off using enemy weapons, which is pretty cool. 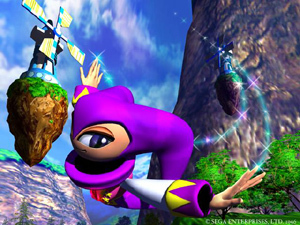 Sonic games used to be cool, but once Sonic went 3D things started to get weird. Like in Sonic Unleashed, Sonic turned into a Werehog at night (during the daytime the stages were apparently pretty good, more traditional side-scrolling game play). Well, it looks like Sega has decided to return Sonic to his roots with their next HD Sonic game, coming in 2010. If you’re thinking of picking up the upcoming (February 10) Wii shooter The House of the Dead: Overkill you might consider pre-ordering the game to get a free graphic novel Prelude To An Overkill, which looks kind of cool. I imagine that if Liz ever became a zombie should would run up to me, wielding a chainsaw, and say the exact same thing. 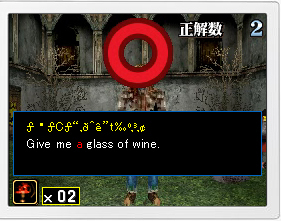 Actually, I think all languages should be taught by killing zombies. If my French classes in high school somehow involved making zombies jump down a hole in the ground, I definitely would have paid a hell of a lot more attention. Also, let it be noted that I failed. I missed one, I wasn’t paying attention. The zombies tricked me. The PS3 is getting all kinds of tactical RPG’s this year. Valkyrie of the Battlefield, developed by Sega, features a unique turn-based battle system called BLiTZ (Battle of Live Tactical Zones). The game seems to feature a mix of term based play as well as real time action. You can control individual units movements and are in direct control of their aim, so you can pull off headshots for additional damage. Seems interesting, I’ll definitely be keeping track of this one. IGN has an interesting interview up with Sonic Chronicles: The Dark Brotherhood’s producer, Mark Darrah and some new screenshots from the game. I’ve been interested in this Sonic RPG for awhile now, the idea of Bioware making a Sonic RPG on a handheld system just seemed like something completely different for the company. I expected awesome and radical things, basically. Eggman was defeated some time ago and Sonic has gone out to explore the rest of his world. He has been gone for a while and then gets a call from Tails – Knuckles has been kidnapped! Not only that, the chaos emeralds are disappearing! The games battles are described as turn-based with real-time elements. Also, the game is divided into two acts. The first act takes place in Sonic’s world, with areas like the Green Hill Zone and Mystic Ruins. The second act, however, takes place in another dimension new galaxy intergalactic planetary. Nothing was revealed about this other dimension, but it sounds scary. Is Dreamcast 2 in the Works? I Doubt It. Kotaku has posted an article speculating that Sega may be working on the Dreamcast 2. Inconceivable! This would be a dream come true for the legions of Sega fans out there, but how valid are the speculations? Continue reading Is Dreamcast 2 in the Works? I Doubt It. Posted on December 6, 2007 December 8, 2007 Author MikeCategories Industry NewsTags Coming Soon, Dreamcast 2, Patent, Sega6 Comments on Is Dreamcast 2 in the Works? I Doubt It. Sega’s hotly anticipated NiGHTS: Journey of Dreams will be the first Wii game to utilize the Wii weather channel. In the “My Dream” area, a zone filled with creatures the player can interact with, the weather conditions of your city will be reflected in the gameplay. So if it’s raining outside, it’s raining in the game. The creatures in the zone, also known as “A-Life” for some reason, will react to the weather. Pretty interesting gimmick, I think they did this like 10 years ago in the PC game Black and White. Also, why is the ‘i’ not capitalized. I hate that.